Melrose — Touloukian Touloukian Inc.
A new construction mixed use development includes over 10,000 sq ft of commercial space, underground parking and 28 residential units. Sited on a major entry into the City of Melrose, the prominent facade details, fourth story setback and canopy mark the corner entry into the City. The ground floor retail and commercial spaces are designed for speculative tenants, large repetitive display areas and flexible signage with high visibility. 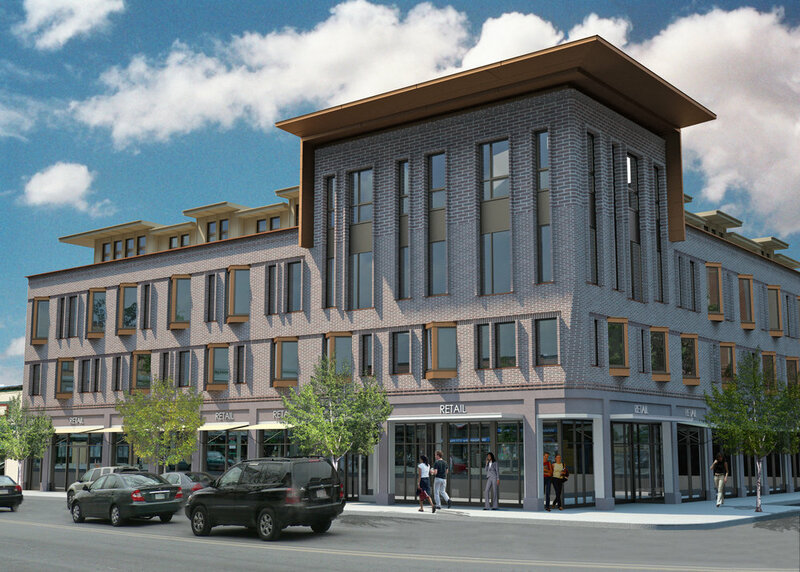 Designed in a historic district, the project has selective references to historic masonry detailing and the repetitive historic bay windows along Main Street.